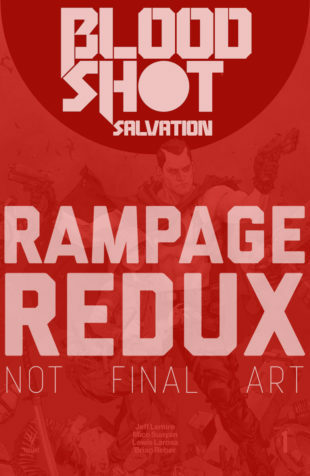 Reserve the Exclusive, Expanded Editions of the New Ongoing Series from Lemire, LaRosa & Suayan – and Get the Limited BLOODSHOT SALVATION #1 RAMPAGE REDUX as an Extra-Added Bonus! 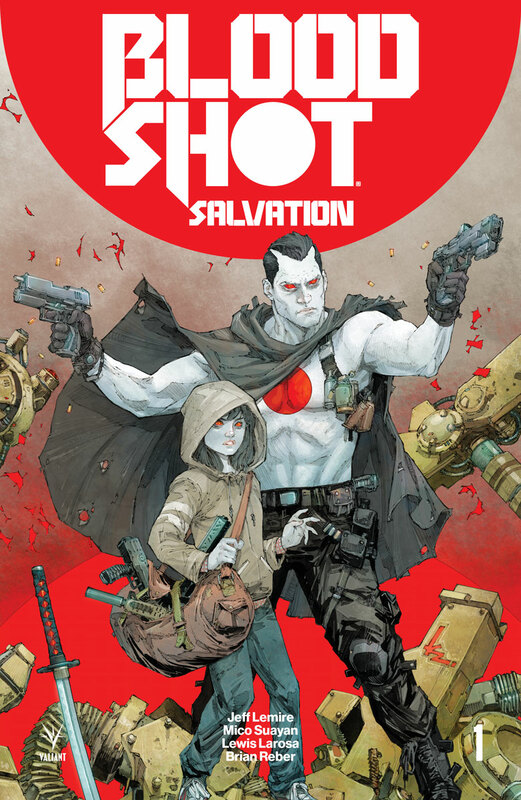 This fall, Valiant is rewarding fans who pre-order the most bloody and brutal new series of the fall with specially expanded, limited editions spanning BLOODSHOT SALVATION’s furious first year! 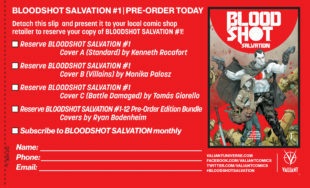 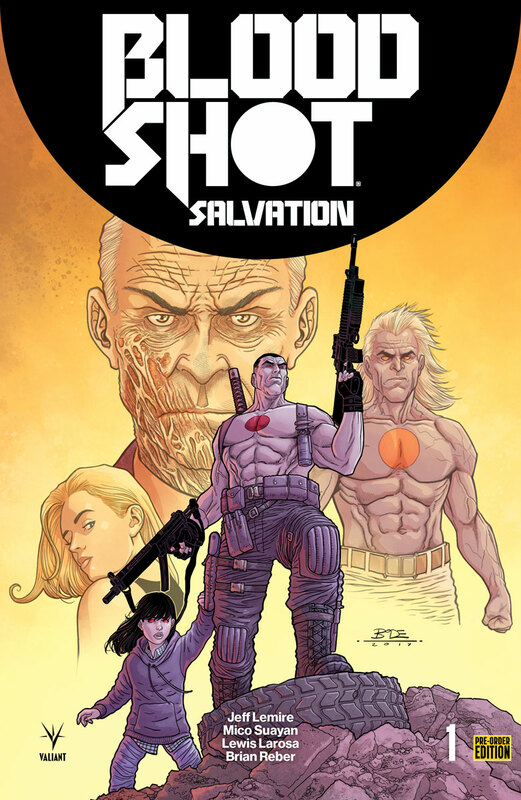 Valiant is proud to announce the BLOODSHOT SALVATION #1–12 PRE-ORDER EDITION BUNDLE – available only as a pre-order set to fans who reserve the first year of the blockbuster new ongoing series by New York Times best-selling writer Jeff Lemire (THE VALIANT, Moon Knight) and explosive artists Lewis LaRosa (BLOODSHOT REBORN) and Mico Suayan (BLOODSHOT REBORN) with their local comic shop by the initial order date (IOD) of July 27th, 2017! 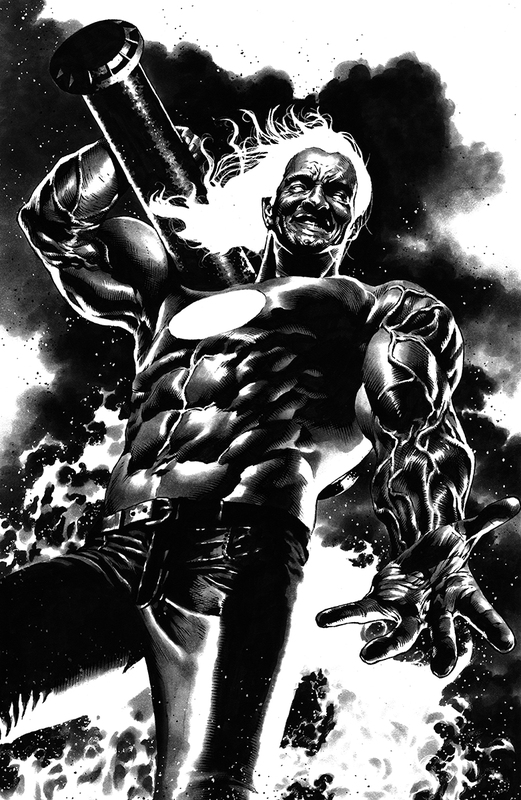 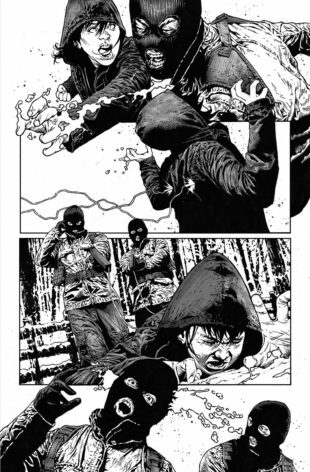 Get a double-barrel blast of Valiant’s most dangerous hero when Jeff Lemire, Lewis LaRosa, and Mico Suayan unleash the full fury of the BLOODSHOT SALVATION #1-12 PRE-ORDER EDITION BUNDLE, available only in comic shops beginning this September! 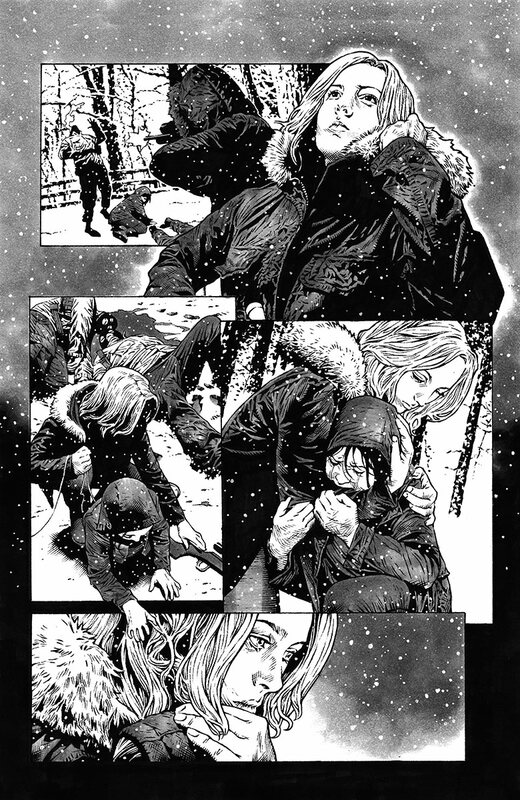 Fans and retailers, take note: The only way to obtain the BLOODSHOT SALVATION #1-12 PRE-ORDER EDITION BUNDLE is to reserve this limited item with your local comic shop by the initial order date (IOD) of July 27th, 2017! 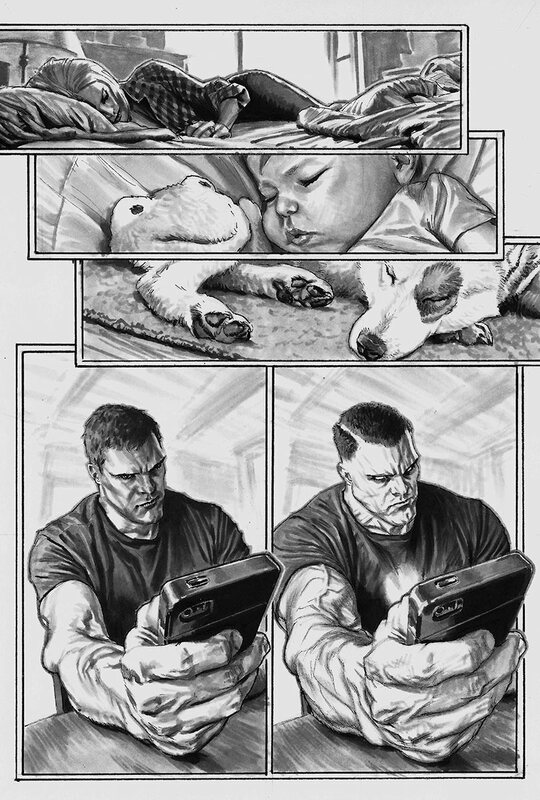 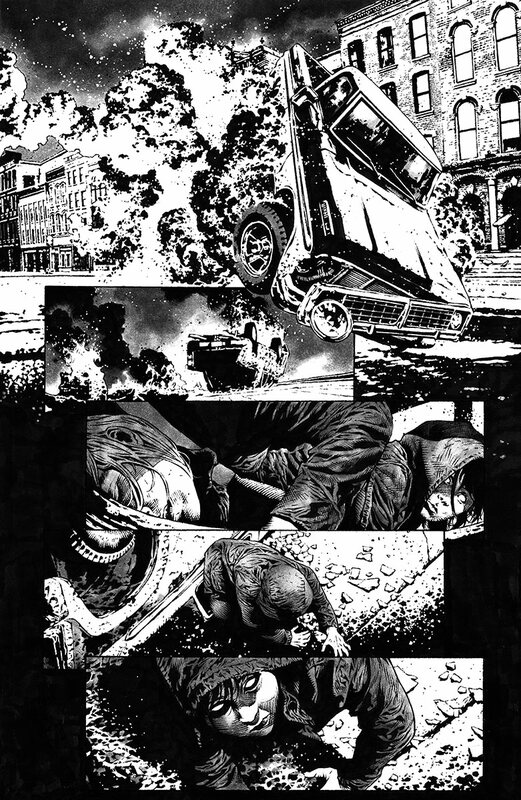 No more copies will be made available beyond that date and subsequent issues – including the BLOODSHOT SALVATION #1 RAMPAGE REDUX bonus issue – will not be offered in later solicitations! 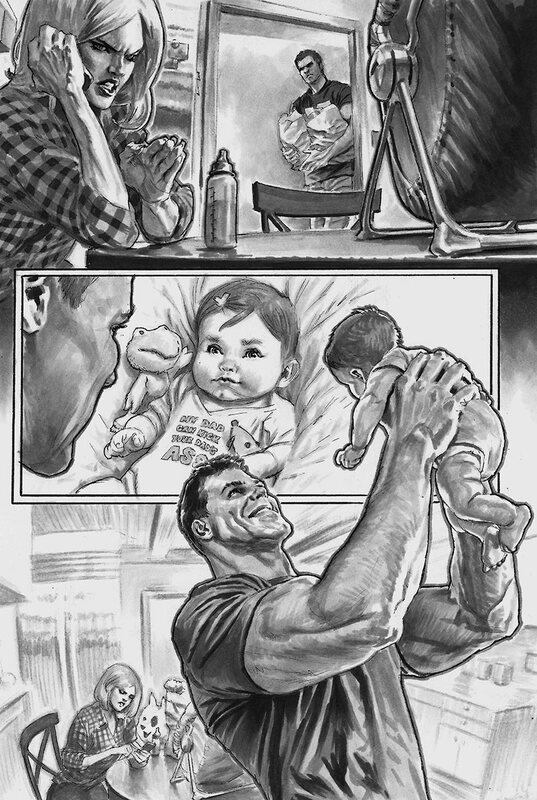 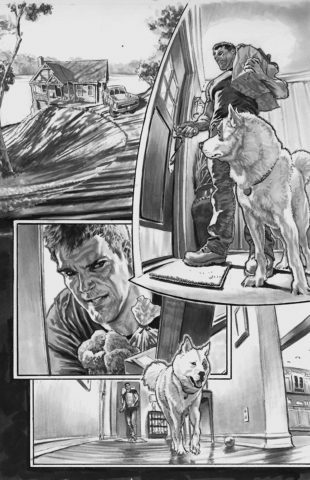 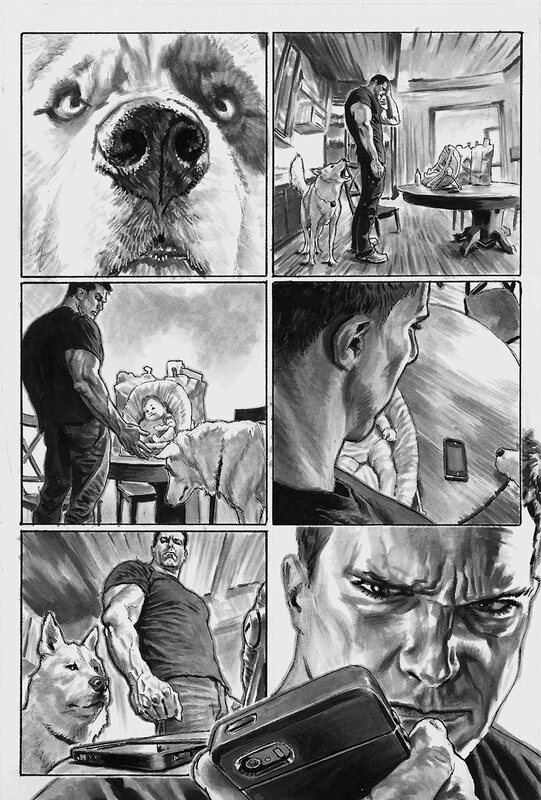 Jump on board with a punishing new introduction to Jeff Lemire’s Eisner Award-nominated epic…and get the fully loaded Bloodshot experience that no true fan can afford miss with 40 pages packed with exclusive content each and every month, only in the BLOODSHOT #1–12 PRE-ORDER EDITION BUNDLE – available only to fans who pre-order with their local comic shop by July 27th, 2017! 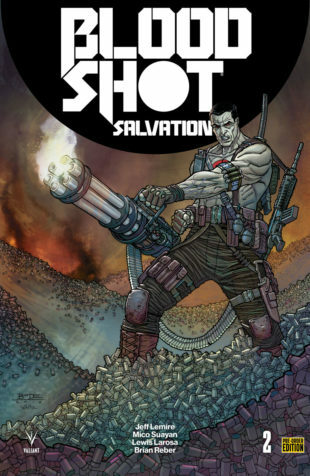 To find a comic shop near you, visit ComicShopLocator.com.